Children under 5 in the parade square, 5 to 10 year olds through the rest of the Fort Anne grounds. Call 532-2319 to register Space is limited. Call 532-2043 to register. Space is limited. At the Legion for adults and children over 10 years old. For ages 10 to 14. Teams of two must pre-register after March 24th with Valentina 532-0955. Maximum of 15 teams. For adults and families. Must pre-register with Trish at the Historic Gardens, 532-7018. GPS units supplied at the Gardens. Thank you to all of the local merchants, the Town of Annapolis Royal, the Annapolis Board of Trade and all of the hearts and souls who contribute each year to making this celebration such an outstanding success. Thanks also to Don and Jeannie Allen and Charade for sponsoring the movie and taking such good care of the Easter Bunny, and to Paula Buxton of Leo’s Cafe, our “Coordinator Eggstraordinaire”. Last, but not least, thanks in advance for supporting our local community – we couldn’t have this much fun without Y-O-U! 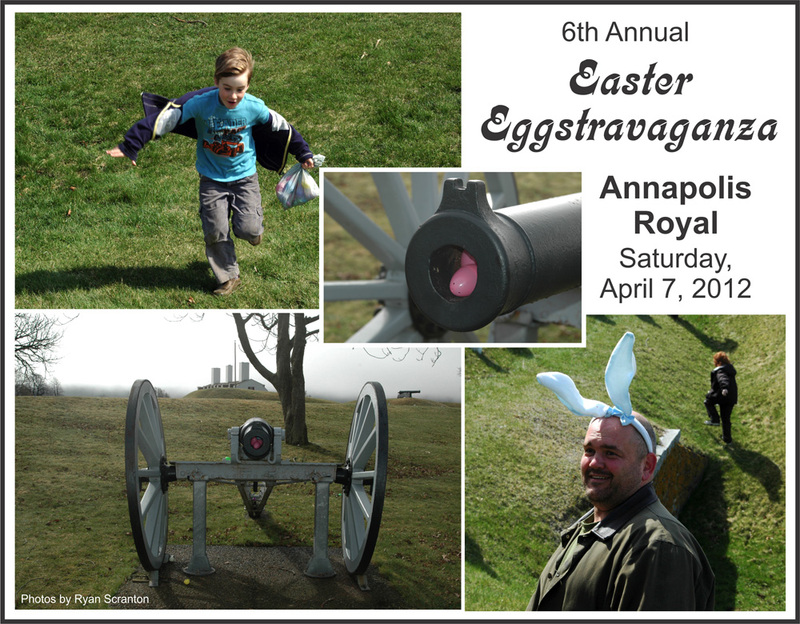 This entry was posted in Arts, Explore Annapolis Royal, Gardens, Heritage, Recreation, Theatre and tagged Annapolis Royal, ARTsPLACE, Easter Eggstravaganza, Explore Annapolis Royal, Explorer Guide, Fort Anne, Historic Gardens, King's Theatre, Nova Scotia. Bookmark the permalink.